Malala Yousafzai made headlines in 2012 when she was shot in the head and neck in the assassination attempt by a number of Taliban gunmen for trying to promote education for girls in Pakistan. Malala Yousafzai, a Pakistani school student and education activist, was born in Mingora, the Swat District of Pakistan’s north-western Khyber Paktunkhwa province. Under the Taliban rule, girls were not allowed to attend school, and this not only angered Malala Yousafzai but also ignited a passion in her to promote rights for women, especially the right to education. At the age of 11, Malala Yousafzai wrote a blog for the British Broadcasting Corporation (BBC), providing details of her life under the Taliban rule, the Taliban’s attempt to control the Swat Valley, and her ideas and views on promoting education for girls. In fact, based on her blog, a New York Times documentary was filmed, depicting Malala’s life in the midst of the Second Battle of Swat. Malala was largely educated by her father, Ziauddin Yousafzai, an educational activist himself, running a chain of schools known as the Khushal Public School. Malala witnessed discrimination against women under the Taliban rule and attempted to change that by giving interviews and speeches on how women should be given rights. And this was seen as a threat by the Taliban. On October 9, 2012, Malala was shot in the head and neck while she was returning home from school on a school bus. And a few days later, the Taliban threatened to kill both Malala and her father. 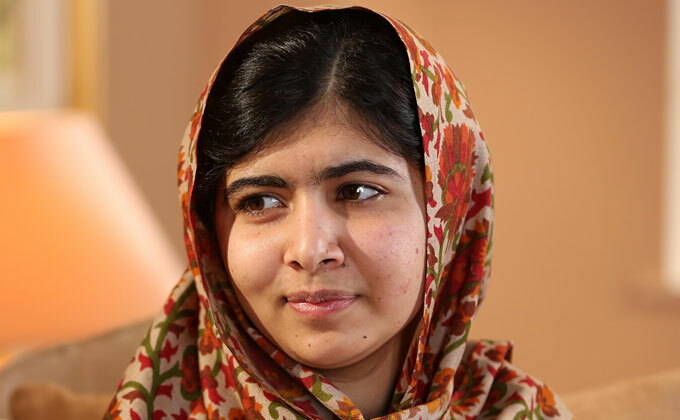 After the attack, Malala remained unconscious and in a critical condition. National and international support started pouring in for Malala, as she had gained popularity throughout the world for her courage to stand up against the Taliban. Due to her critical condition, Malala was taken to the Queen Elizabeth Hospital in Birmingham, England, for treatment, where she had a speedy recovery. After this incident, the United Nations (UN) Special Envoy for Global Education, Gordon Brown, launched a UN petition in Malala’s name, under the slogan – “I am Malala” – and demanded that all children in the world be admitted to schools by 2015. This petition led to the signing of Pakistan’s first Right to Education Bill. At the age of 15, Malala was featured on TIME magazine’s front cover and named one of the 100 most influential people in the world. She was also the winner of Pakistan’s first National Youth Peace Prize and nominated for the highest and most prestigious peace prize in the world – the Nobel Peace Prize. In addition, Malala received the Sakharov Prize in 2013. Today, Malala resides in England, UK, but hopes to return to Pakistan to change the future and destiny of the women there. Malala Yousafzai is no ordinary girl; instead of suffering at the hands of the Taliban, she stood up not only for her rights but the rights of women. She could have stayed silent like thousands of other women and stayed safe, away from the eyes of the Taliban, but she chose not to, and this is the trait that is admired by millions around the world. Many of us live in fear and this is no way to live. No one can take away our freedom and if someone snatches our rights, we should stand up for them. Many of us believe that one person cannot change anything, and this is wrong - Malala has proven to the world that one person can make a huge difference.